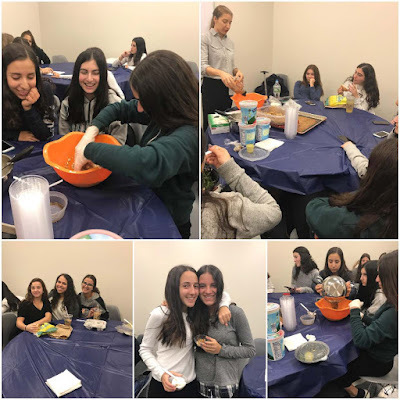 On Tuesday, February 14th, Ms. Michelle Gindi, also known as "BuddhabowlsAndBurpees" came to the Yeshivah of Flatbush Joel Braveman High School to teach students about the importance of eating healthy. Through a cooking demo students learned how to make her vegan granola. They even got to taste the granola they made in a yogurt parfait! She showed them that healthy cooking can be easy, fun, and delicious. She also answered all of their questions regarding health and nutrition. Her positive attitude and simple recipes inspired the students along with many other people to lead a healthy life.